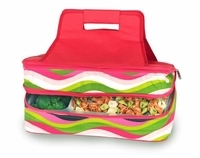 Entertainer hot & cold casserole carrier is perfect for transporting food and meals to pot luck dinners, tailgating, picnics, home and outdoor functions . The Entertainer can hold both hot and cold foods in the 2 expandable sections. 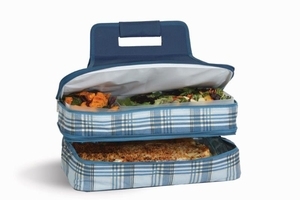 The full thermal foil insulated lower section holds up to an 11" x 15" (5 QT) casserole dish (not included). 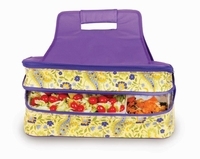 The 2 large food containers (included) can be used in either the lower or upper section and can hold salads, dinners, fruit, desserts and more. 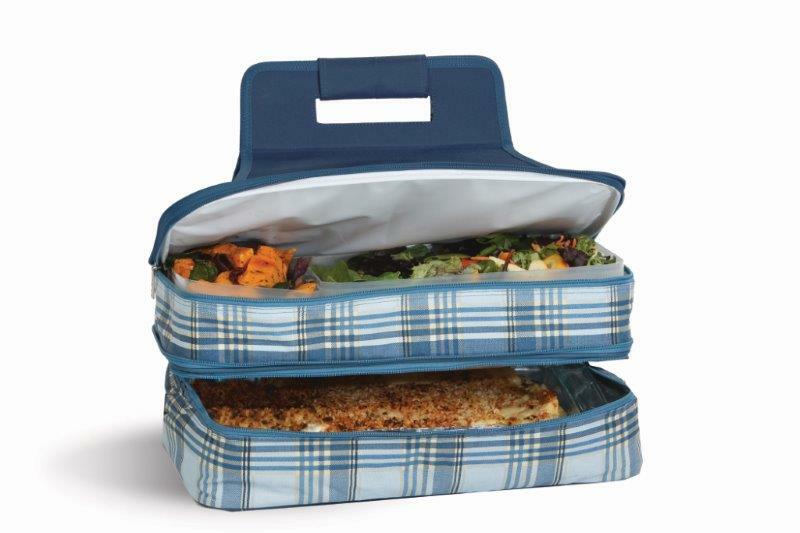 The full zippered expandable top section has an insulated leak proof liner to hold containers, beverages, and condiments. Hidden pocket stores utensils.